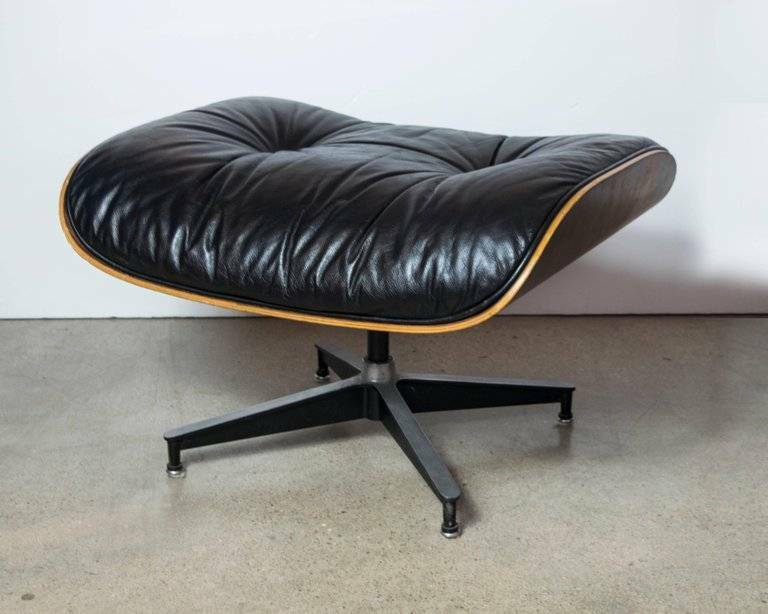 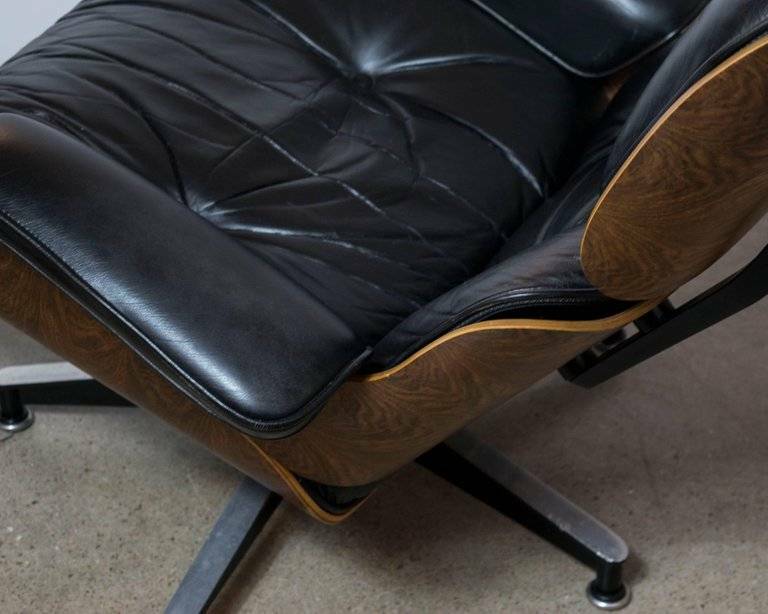 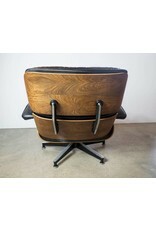 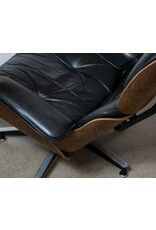 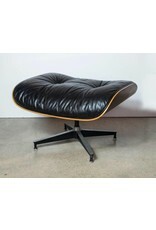 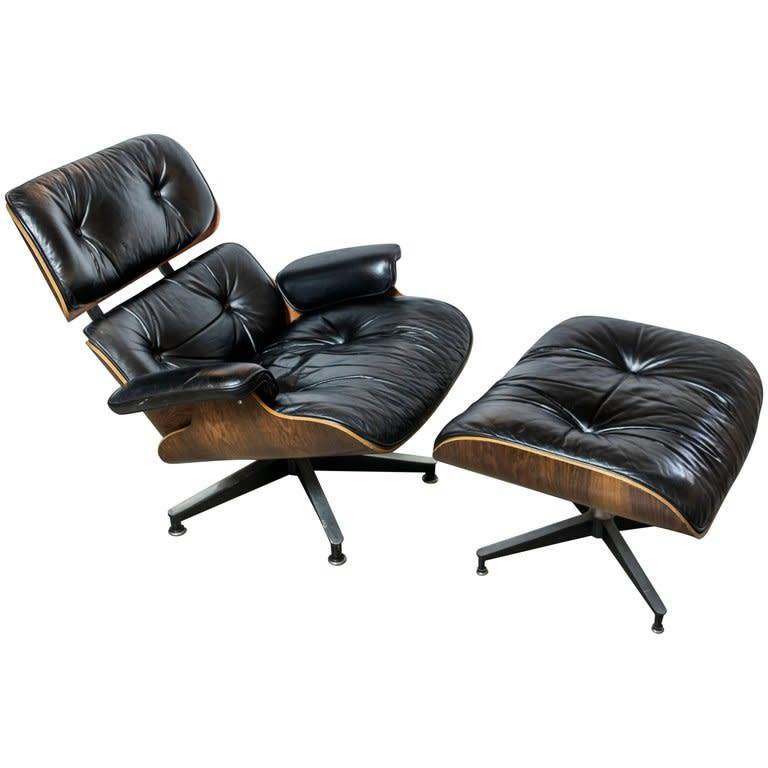 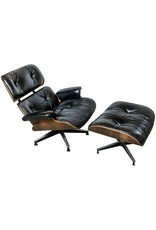 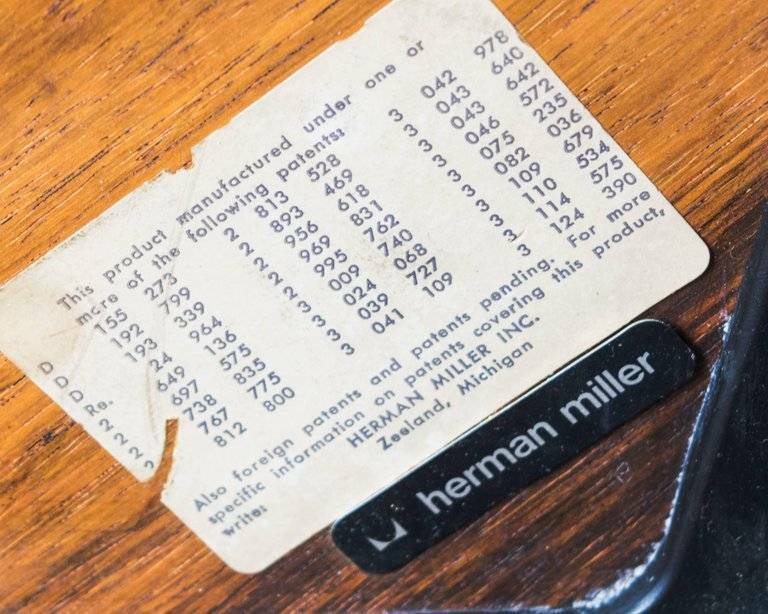 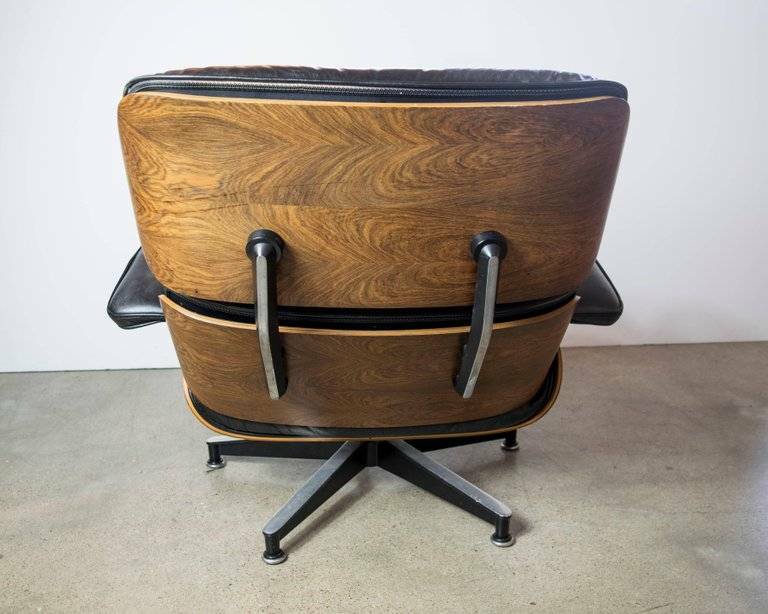 A much-coveted original rosewood and black leather vintage Eames chair by Herman Miller from the 1970s. 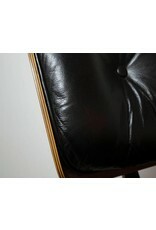 The leather is in better than average vintage condition with the exception of a small tear in one arm. 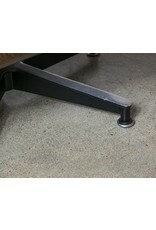 The chrome has no pitting but the ottoman does have several scratches on top of the metal. 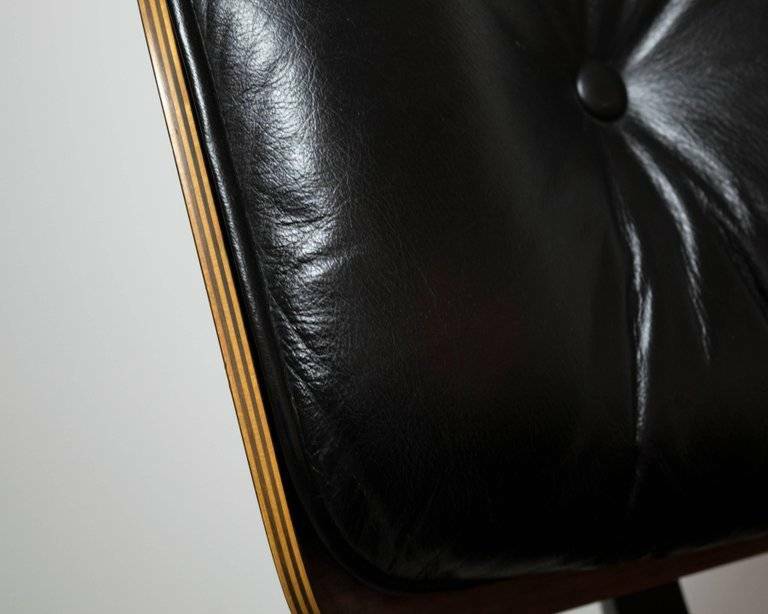 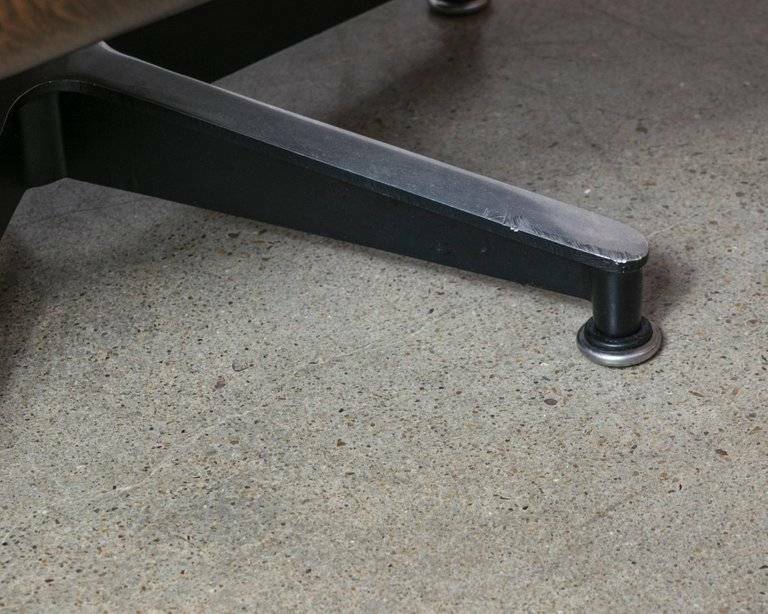 As these chairs age throughout the years, they need rubber bumpers / shocks which are easily available online. 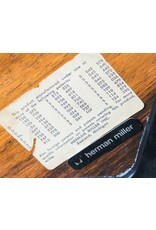 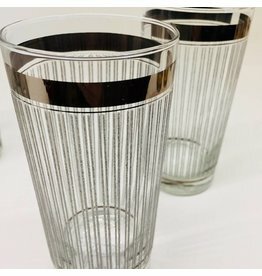 Retains original sticker.